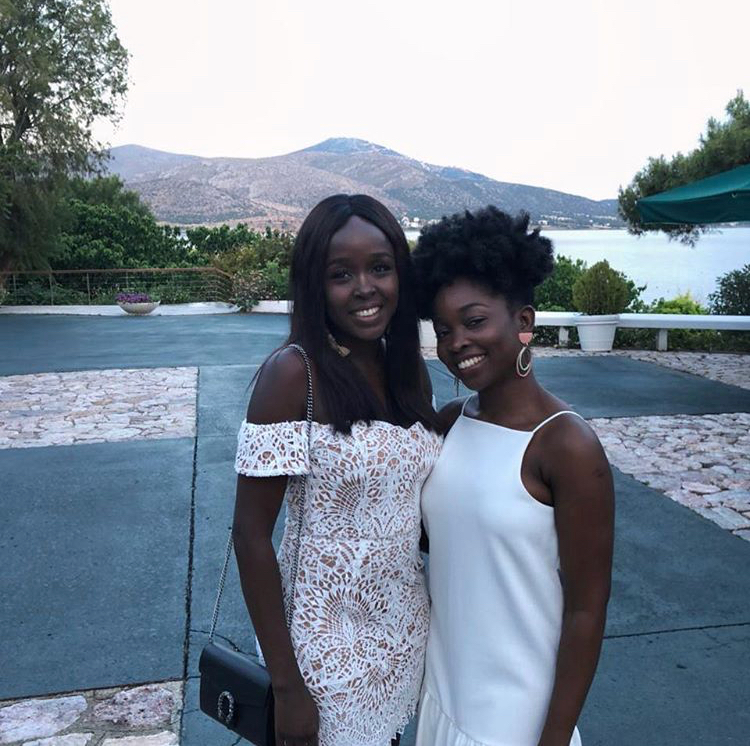 When I first met #9 Feyi, as we lawyered about and worked on a project a few years ago, I thought she had great genes - didn't look a day older than 16. 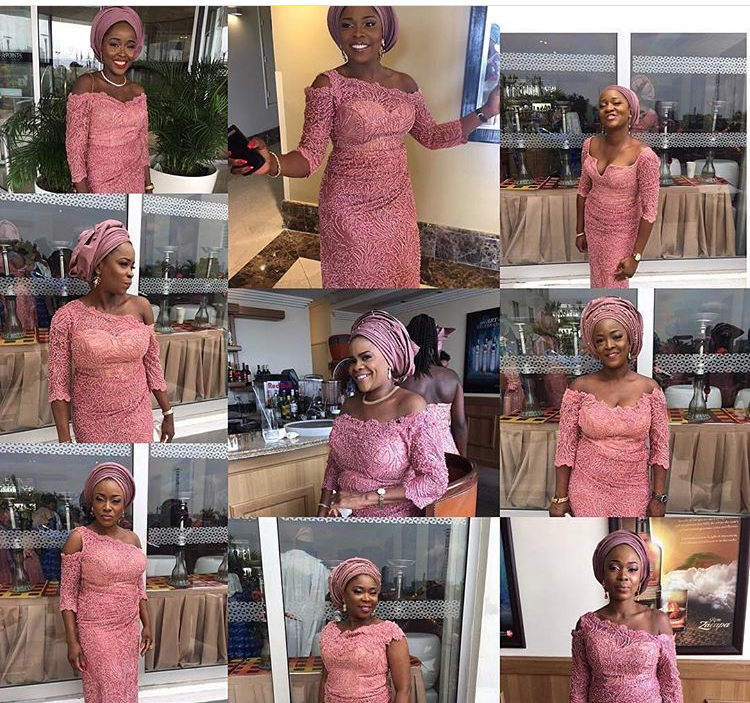 And then I'm not sure which came first, seeing photos of her mum and noticing how strong and lovely she looked or the realisation that Feyi was number 9 of 10 sisters. Of the same parents. A family of 10 girls. My curiosity spiked from then. And although this was a few years before I had even considered blogging, I already thought it would be super cool, to interview them, sit amongst them and seeing how they got along and perhaps hearing about their childhood and growng up years. What could it be like to have nine sisters? And then through number 9, I met number 10 Bamike. Imagine having nine older sisters. That must be bliss. I love following them on social media and the way they refer to themselves using their numbers. It helps the rest of us know who is who. 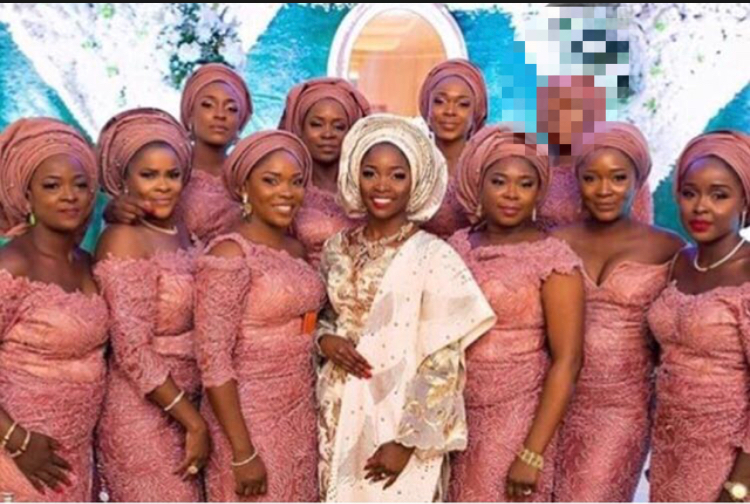 They also frequently use the hashtag #FrancisAngels or #OgundairoClan culled from their Father’s name and their last name. I obviously had a ton of questions to ask. But I had to limit it to two: and so asked them to share the best and their least fave part of having nine sisters! All 10 at their baby sister - #10 traditional wedding ceremony. Consultant. Leader of the pack. As a youngster, I'd have loved to get rid of most of them - haha! But as an adult, absolutely nothing or maybe have 9 more! With nine close, very loved and very united 9 sisters, quite frankly there is always someone to talk to, laugh with, laugh at, ‘gossip’ /gist with. I could go on and on. We all are very different but generally have one voice. A close family friend once said the mistake anyone can make is make an attempt to settle a ‘fight’ between any of the Ogundairo girls! In her own words ‘babanla' (large) error!! I must say she was not far from the truth. Even our mum keeps out of our fights..We always always always have each others back. In my much earlier years and being number 2 of 10 and the mother hen somewhat, I always was involved in unending cleaning, cooking, making sure the house was clean … phew! I couldn’t wait for the next batch to grow up! But still, I would never trade any of my sisters for anything! Having 9 sisters has truly given me the capacity to love my friends like I do my sisters as I have learnt to love a lot of people equally. So the friends I have are strong, genuine and sacrificial. I feel the pain of having 9 sisters during Christmas! Just imagine having to buy 9 gifts on such a special occasion for 9 grown up fashion forward beautiful ladies. My favorite part of having 9 sisters is having 9 friends I can confide in - always knowing their advice is given from a place of love. If I could change not having 9 sisters, I wouldn’t even know where to start life from!! It’s the only life I’ve known. A not-so-favorite part though is that as we all have become adults it’s almost impossible to have secrets! 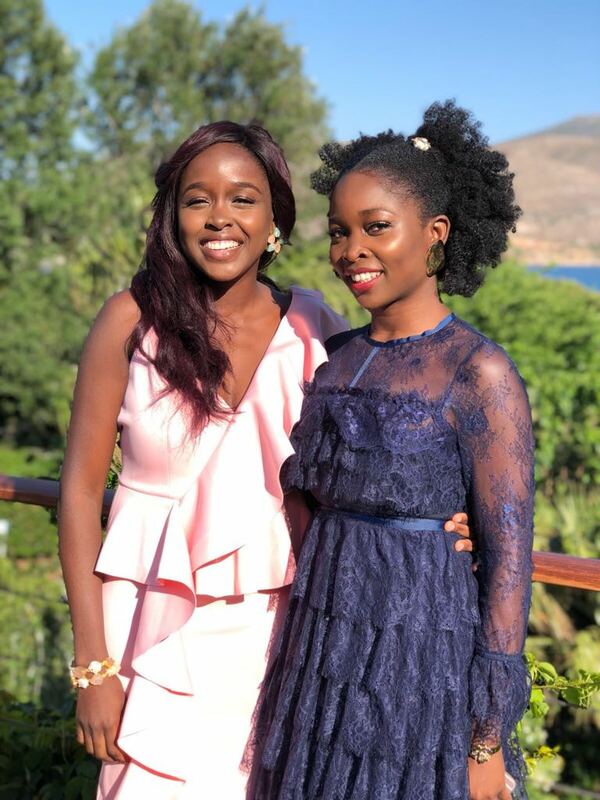 I've realised that interacting with my sisters has taught me how to accept people the way they are with their individual uniqueness. This may sound cliche, but I wouldn’t have it any other way - wouldn't change a thing. My absolutely favourite part of having 9 sisters is the great company! Always having your closest friends around you to share with, talk to, play with, and fight with! I honestly wouldn't change anything if I "could". My favorite part of having 9 sisters is having 10 points of view. Everyone has their own perspective so my approach to things that happen in my life has a better chance to succeed. This is because we all talk to each other. No one is the boss over any, and even though we are years apart in age, we are all respectful to each other. Having the safety net to fall back on is such a blessing. If I found my wardrobe boring I could always move on to the sisters willing to share! If I could, maybe I'll change my position maybe? I always seemed to be the one that got called a lot to do stuff. I love the The love. The buzz. The banter. There's never a dull moment. There’s always something to do/say, celebrations to be had, places to visit or travel to together (usually not all 10 at once, it’s very very very difficult to have us all in one place). I absolutely love having them all but maybe if I could change one thing, it will be the order things go. When there was something to share or do, it always started from the most senior sister around so I had to (and sometimes still) wait patiently for my turn. I’m sure when you post this I’ll come up at the end (#maintainyourposition). Funny thing is the order doesn’t apply to washing the dishes! I think last kids are automatically responsible for doing the dishes. On the other hand, I’ll never trade being #10 of 10. Too much perks and I love them all! I found it so interesting how the top two mentioned their task of taking care of others, and the bottom two had to do the chores. I guess if I were to choose, I'd love to be in the middle! I still have many more questions to ask, but this has at least nipped my curiosity in the bud - thank you so much ladies for being so gracious! And guess what people, #2’s son is older than Bamike #10 - by just one year, but she's still his aunty technically! pS: if number 10 face looks a bit familiar, it's because we've had her over on the blog before as one of the 9 natural hair experts sharing their nappy hair story and challenges. Just recently she shared her excitement on Instagram, as the final sister had decided to join the nappy hair team!